Now Beyoncé can’t even check on her stock portfolio in peace. In her latest song, while referencing the spectacular elevator fight between Solange and Jay, Beyoncé mentioned that she and her husband’s net worth is nearing a new dimension and E! confirmed. "Combined they are very rapidly approaching the billion dollar mark," Zack Greenburg, Senior Editor at Forbes and also author of the book Empire State of Mind: How Jay Z went From Street Corner to Corner Office, tells E! News. Isn't that reason enough to meet with your money manager? 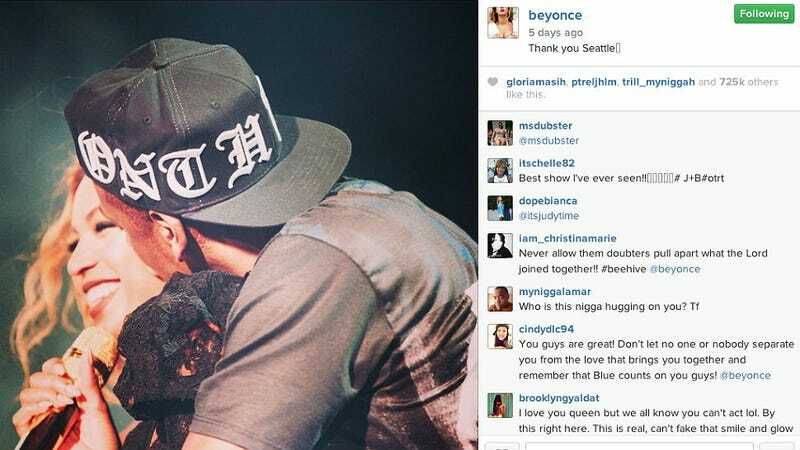 This has been your daily update on the Jayoncé split rumors.